To operate an architect scale ruler, first look at the Title Block on the blueprint. It is located in the bottom right corner. 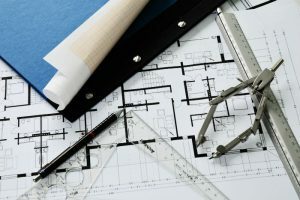 This area contains valuable information to help you choose the correct scale: title of the drawing, the owner or customer of the project, names of the designer, drawer, pertinent ID numbers, and the supervisors. It has the page number, if multiple pages are involved, and the version number. It also has areas for the signatures of those who approved the drawing, and the dates they approved it.